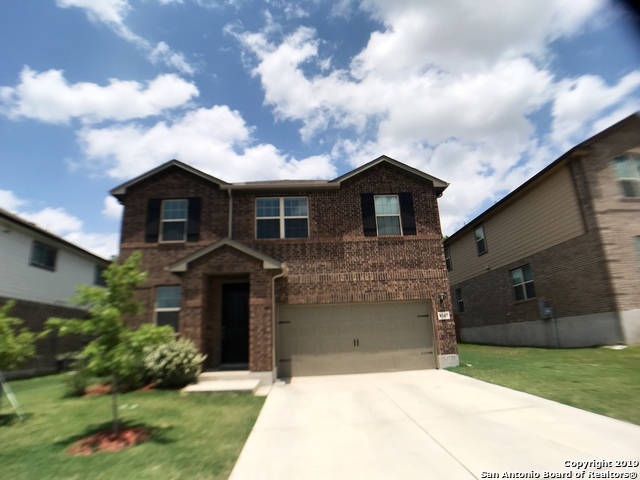 All ROLLING CREEK homes currently listed for sale in Converse as of 04/25/2019 are shown below. You can change the search criteria at any time by pressing the 'Change Search' button below. 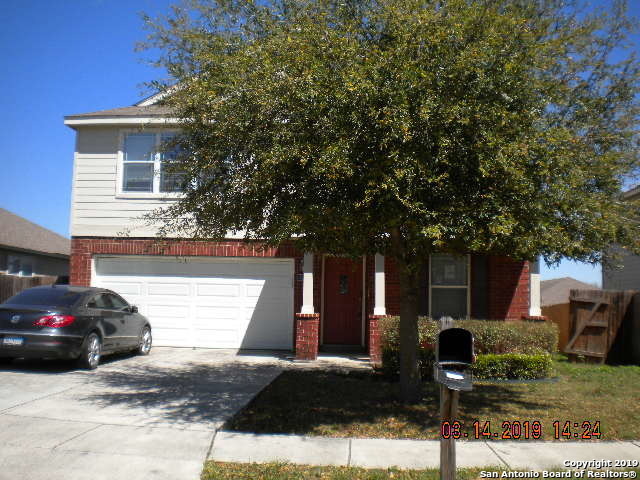 "Beautiful 2-yr old Meritage Energy Star home in Rolling Creek neighborhood in City of Converse. 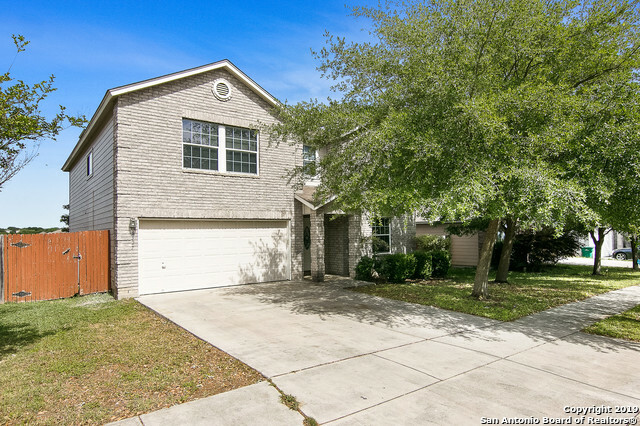 Features tile floors downstairs, gorgeous kitchen, eat-in island, white Carranza countertops, designer backsplash, upgraded cabinetry/hardware, large master bedroom w/double vanities, game room, open floor plan concept, office nook & formal dining room. Energy features Low-E3 windows, spray foam insulation, PEX plumbing, LED lighting, Wireless thermostat, TAEXX pest control, home warranty, sprinkler s"
"Gorgeous 2-story home offers California kitchen, formal dining room and upstairs features Game Room & Media Room with great architectural details through-out. Master Suite has Bay Windows and upgrades in bathroom. Covered extended back porch with ceiling fan. Convenient to The Forum Shopping, IKEA, & Dining. Randolph AFB, Fort Sam, River-walk & Alamo is close by. This home is known for their energy efficient features, will assist you in living a healthier and quieter lifestyle while saving on y"
"This is a beautiful home! Downstairs offers private office, formal dining, oversized living rm opens to gourmet kitchen complete w/ stainless appl, nice mstr BR has private bath & lg closet. Upstairs features 4 bedrooms. Covered back porch." "BEAUTIFUL 3/2.5 OPEN FLOOR PLAN IDEAL FOR ENTERTAINING! FEATURES AN ISLAND KITCHEN THAT IS SURE TO PLEASE ANY CHEF W/42 OAK CUSTOM CABINETS, GRANITE COUNTER TOPS & STAINLESS STEEL APPLIANCES. GAME ROOM/MEDIA ROOM UP, CROWN MOLDING IN LR, LOTS OF STORAGE, UPGRADED WINDOWS, VAULTED CEILINGS, WATER SOFTENER & OSMOSIS, 18X18 TILE 1ST FLOOR & UPSTAIRS BATHS, RECESSED AND UNDERCOUNTER LIGHTS, 13 SEER AC. OVERSIZED 2 CAR GARAGE WITH CABINETS. GREAT SIZE YARD WITH FRESHLY STAINED GORGEOUS DECK. NEAR RA"
"Energy efficient-Energy Star rated home, Open floor plan with spacious rooms throughout, 3 living, 2 dining areas, Island kitchen with lots of oak cabinets and energy efficient appliances, Master bedroom has dual walk-in closets, Master bath has garden tub, separate shower and dual vanities, gameroom and all bedrooms are upstairs, too many other features to list, easy access to Randolph AFB & Fort Sam Houston, Run the numbers and COME ON BUY TODAY!!!"